Let’s face it, some morning can be rough. Making it hard to leave the comfort and warmth of your bed to begin the day. You may not have gotten enough sleep, or you did but it wasn’t good sleep, leaving you restless and maybe even a little irritable. When this happens, one of the first things we tend to do is seek out that quick “pick-me-up”. Usually of the caffeinated variety. I am pretty guilty of this, I love my morning coffee! But that is not the only way to boost your energy and prepare for the day ahead. Stretching in the morning can give you the jumpstart you need to make it through the entire day. Plus, stretching daily has a variety of potential health benefits. Such as better range of motion, improved circulation, increased attentiveness, and decreased risk of injury. Try taking 10-15 minutes in the morning to benefit your whole day. 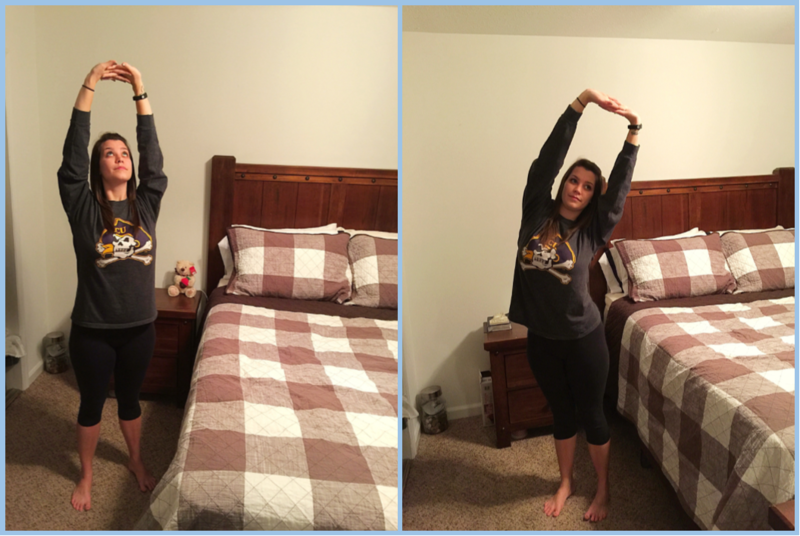 Below are 12 simple stretches (that you can complete right from your bed) to start your morning off right. 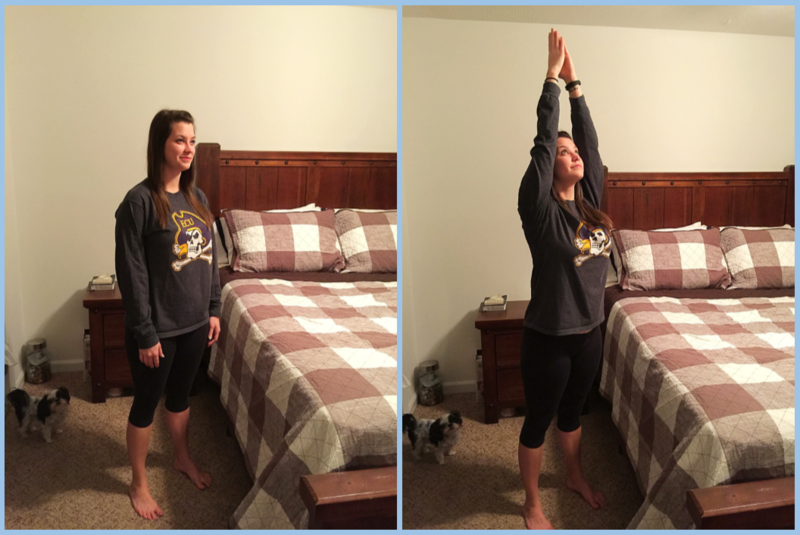 Hold each position for 15-30 seconds, modify as needed, and stop if you feel any pain. Remember to focus on your breathing while completing these stretches. Inhale to start, exhale to release. Standing Lateral Bend – From Mountain Pose, interlock your fingers and rotate your hands upward, allowing your palms to reach for the sky. From there, begin to reach for the right with your palms. Thus, creating a slight bend on your right side of your body while lengthening the left side of your body. Repeat this for the left side of your body. Interested in trying more yoga? 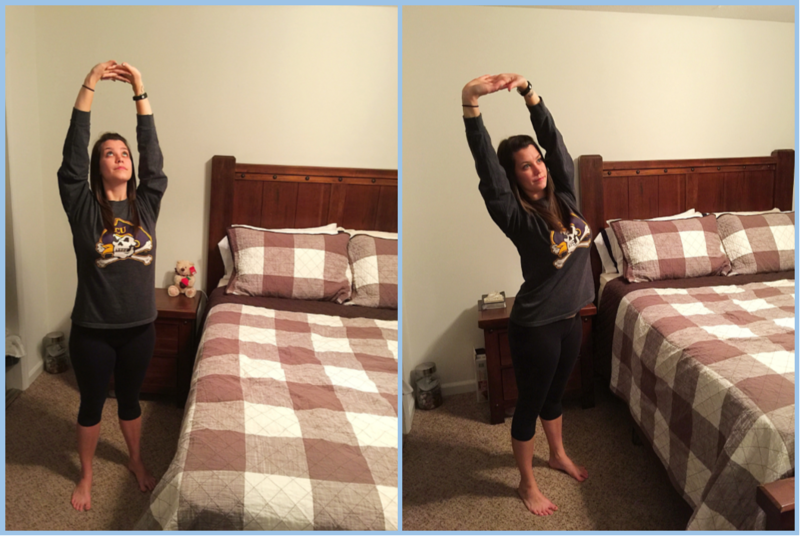 I found Pocket Yoga to be a very useful resource when attempting new yoga poses. 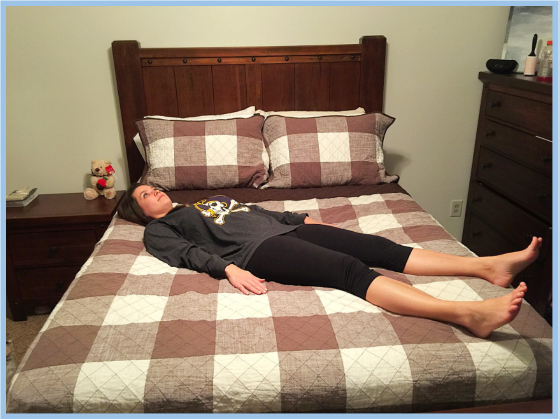 For each position/pose the site includes: the name(s), category/subcategory, difficulty level, description of how to execute the pose, and the health benefits associated with the position.